The National Coalition for Safer Roads (NCSR) proclaimed Aug. 3 through Aug. 9 National Stop on Red Week, a campaign focused on raising awareness about the dangers of running red lights. Each year, thousands of people lose their lives to negligent motorists who choose to run a red light. Many times the victims of these accidents are pedestrians and cyclists. 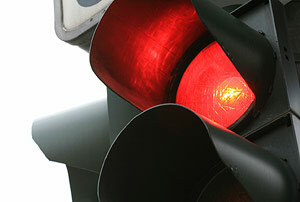 According to the Insurance Institute for Highway Safety, red light running is the leading cause of urban crashes. A study by the NCSR revealed that 3.5 million drivers received a red light violation in across 20 states in 20 last year; drivers were more likely to run a red light between the hours of 1 p.m. and 5 p.m. Unsurprisingly, Friday proved the worst day for such violations, likely caused by the rush of workers eager to enjoy their weekend. In 2009, the number of intersection or intersection related fatal crashes in South Carolina totaled over 130. Although running a red light is already a serious violation, many drivers are also breaking another law. Last year the NCSR collaborated with FocusDriven to examine the impact of distracted driving on running red lights. A sample of 188 intersections across 19 U.S. communities found that about 7.3 million red-light violations in 2012 involved a distracted driver. Its important to note that many states had adopted distracted driving laws during that time. Although many of these statistics are startling, red light safety cameras are improving these numbers. On average, 89 percent of drivers who received a ticket issued by a camera in 2013 have not received another. Have you or someone you love been injured in an accident caused by a driver who ran a red light? Victims of such accidents may be entitled to file a claim for damages they have suffered. The car accident attorneys at Harbin Law can help you determine what your legal rights are and if you may be entitled to compensation. Call our firm at 1(888)821-0247 or fill out the contact form on this page to schedule a free legal consultation.